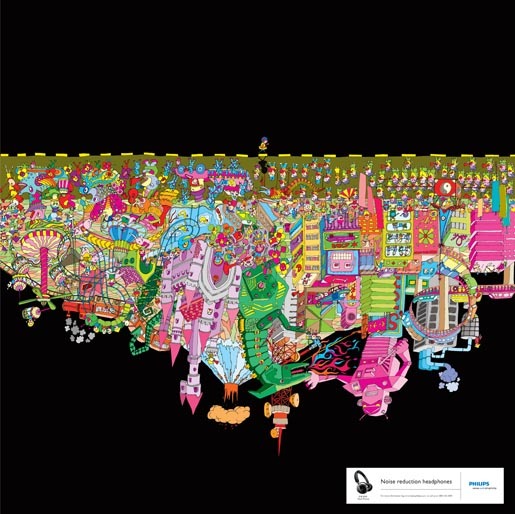 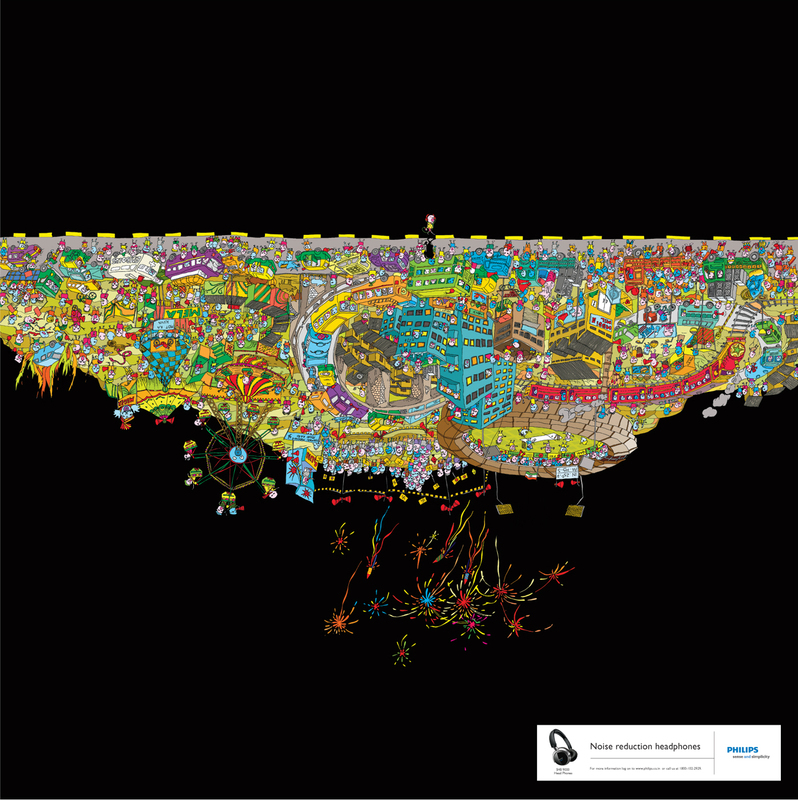 Philips Noise Cancellation Headphones from Philips Electronics India Limited are presented as the way to cut out city noise in “Flipped City”, a print advertising campaign developed in New Dehhi, India. Three illustrated print ads show a character wearing headphones provided with a side of the road blissfully empty compared to the cluttered cityscapes of India, New York and Tokyo. The Flipped City campaign was developed at Mudra Communications, New Delhi, by chief creative officer Bobby Pawar, executive creative director Nirmal Pulickal, creative director/copywriter/art director/illustrator Raylin Valles, art director/illustrator Satyam Patel.